Blue Unit has created a new software as we felt that our data was not properly utilized with older software tools. 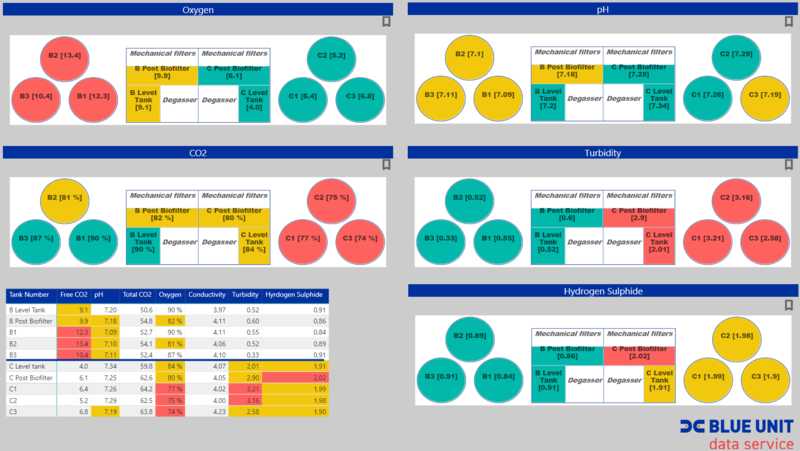 The new software includes 5 different pages, two of these provides the customer with a basic overview of the water quality in the farm while the last 3 goes more in depth with the data generated by the Blue Unit Lab Station. With this tool you will be able to quickly assess where in the farm your attention is most needed. You will also get a much better understanding of how the water quality acts throughout the farm and how different parameters influence each other. Other views can be tailored to your specifications.